This is no ordinary tank top! 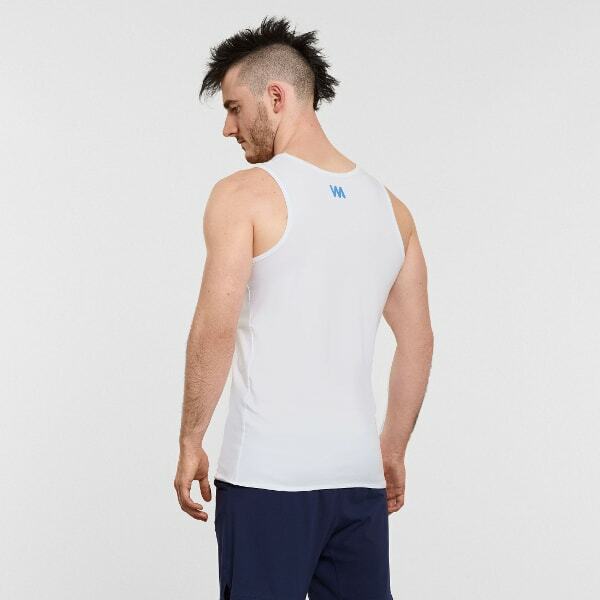 It has been designed for your performance with a mixture of yarns that have different functionalities; #1 Cooling #2 Anti-bacterial #3 Sweat-Wicking #4 Uber-Comfortable #5 Pro-Planet. It also has a hidden loop on the underside which you can tie to the cord of your pants, stopping it riding up during headstands. "I LOVE the tank top material. Its soft, stretchy and light. I easily sweat when I practice and it's really important for me to have a top that dries quickly and doesn't feel to sticky on the skin. This tank does the job really well. I also appreciate the minimalist design, I usually stay away from large logos on apparel. 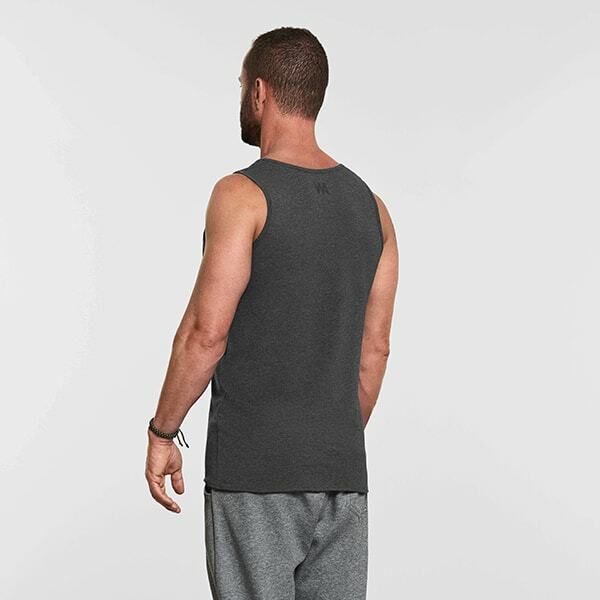 The loop on the front is also very helpful to avoid getting the shirt on your face during inversions." 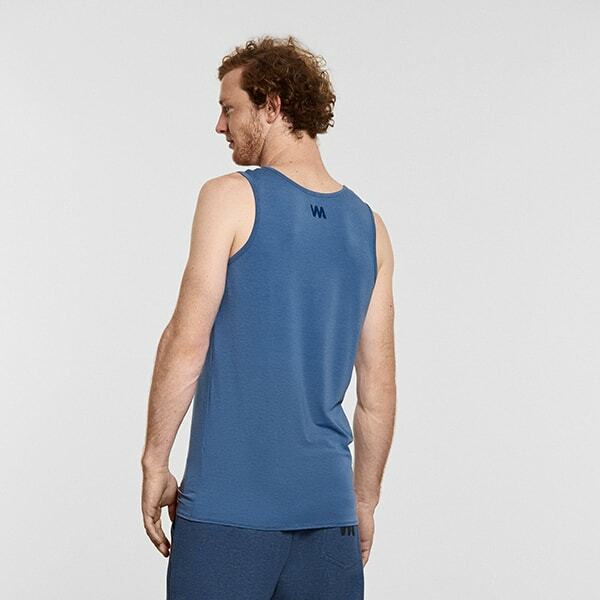 "I’ve several other branded yoga tops and yours are easily the best for me. Most specifically the snug yet very comfortable and flexible fit, the length (especially if I’m wearing tights) and how they don’t gape and fall into my face when I’m upside down!" 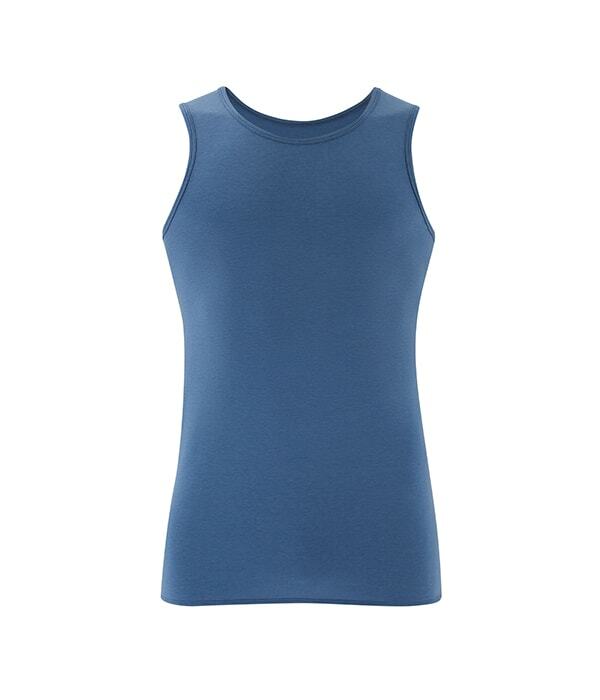 "The most comfortable vest top I've worn and also the best performance fit. 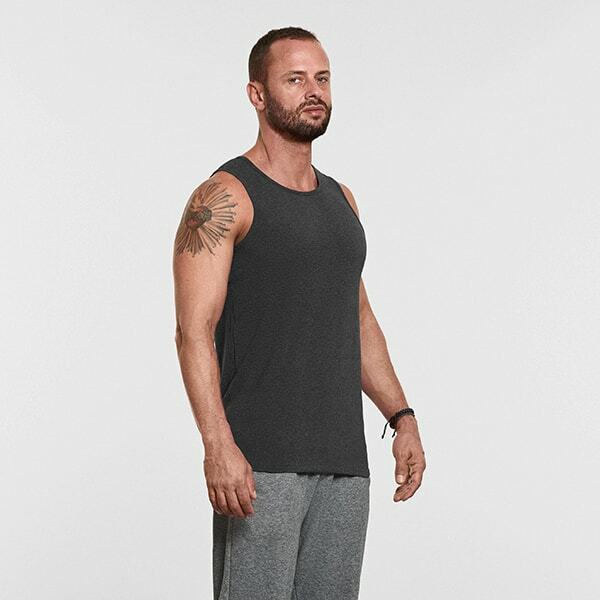 It does ride up during training and yoga practice like a few of the others I wear. Really love this item."